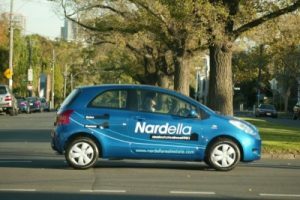 Nardella Real Estate has been managing Investment properties for over 50 years, maintaining many happy long-term relationships with clients. Our Approach to Property Management is to ensure that your investment is given full attention at all times. Being a smaller agency, our team has the time to offer a dedicated personalised service. We have systems in place and use the latest technological advances so that you and your tenants are looked after efficiently and professionally every day. With us, your business is big business! Being able to speak directly to us and not a machine! Call our Property Management Department on 9329 8900 or request a Free appraisal of your property. Discuss your requirements and concerns in relation to tenants and how your property is looked after. Prepare a detailed Condition Report, including photos where required. Consult thoroughly with tenants on their legal obligations & rights. Manage maintenance requests; ensuring work is attended to promptly. The following information is provided to help you in preparing your property for tenancy. All electrical/gas appliances should be clean and in working order, if not, our office should be advised. Kitchen cupboards and drawers should open & close properly. All floor covering are clean and carpets steam cleaned. Provide all keys to all locks, including window locks. All locks to be functioning.